As legend has it, Virginia, raised by the Croatoan Indians, was claimed by an old and powerful medicine man who, because he could not have her, cast a spell turning her into a white doe. The Indians hunted her for different reasons: one for love, another for hate. 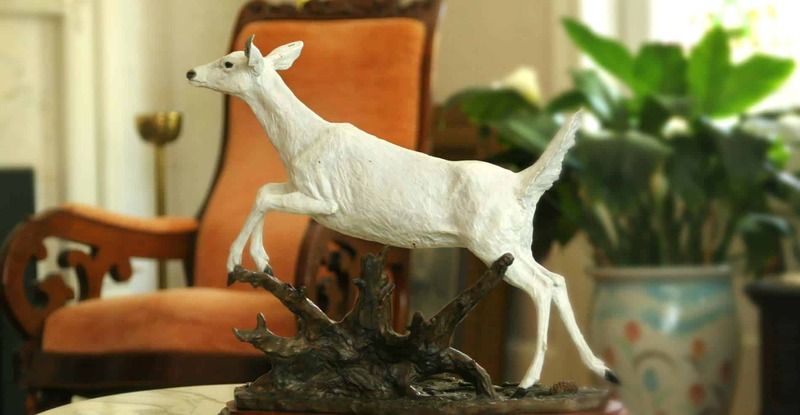 Shot in the heart at the same moment by two special arrows – a mother-of-pearl one meant to save, and a silver one meant to kill – the white doe returned briefly to her beautiful human form only to die a short time later. 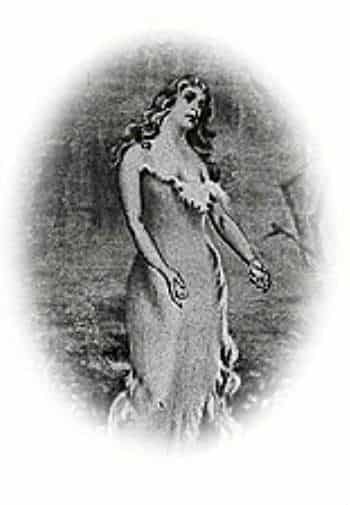 Virginia Dare’s body disappeared at the same time a white doe was seen bounding off into the forest. Even today some claim to have caught glimpses of a fleeting white form late in the evening. 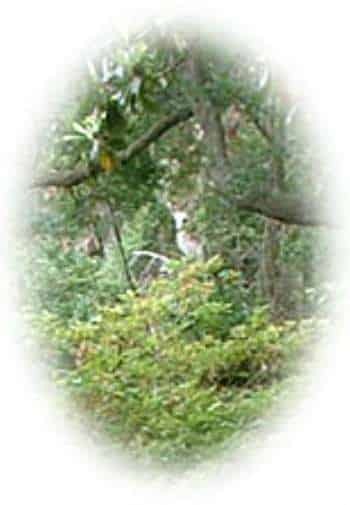 Does the spirit of the white doe still roam the woodlands of Roanoke Island? Has Virginia Dare returned to Roanoke Island? Can you find the white doe in the picture? Look closely! This phenomenon showed up in the Elizabethan Gardens to the surprise of all. You can only see it from one place in the Gardens, up high in a tree. When you walk to the tree itself, the vision disappears.